GOSPELflava.com has asked a selection of our readership to come together in a roundtable discussion to periodically examine and discuss some of the issues, events and topics that are topping conversations. 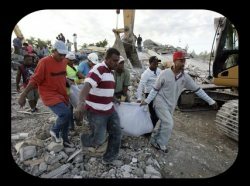 In this session, Gerard Hall, Martin Williams, Traci L. Buckner and Nakiyah Hayling looked at how the Gospel community respond to the Haitian earthquake tragedy. Drop us a line to let us know if you agree or disagree. Gerard Hall : is a Virginia native, and serves as the choir director for both Virginia Tech's Enlightened Gospel Choir and the Full Gospel Baptist Church Fellowship State of Virginia. Gerard attends the Mt. 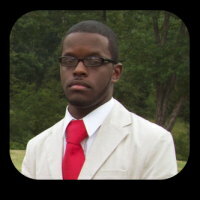 Lebanon Baptist Church in Chesapeake VA under the leadership of Bishop K. W. Brown. .
Martin Williams: is Entertainment and Sports Marketing major at American Inter Continental University in Atlanta and blogs for Gospel Music Channel's "G-Beat". He has travelled with Canton Jones and attends World Changers Church International, where he sings in the Music Department. 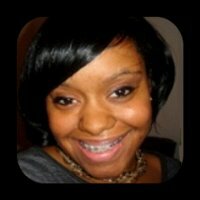 Traci L. Buckner: is an instrumentalist (flute, saxophone, bass guitar), lyricist, arranger and vocalist. From 2001 to 2007, she served as the Director of Dorinda Clark Cole's Lifeline Productions, Inc. She currently teaches music, operating out of her home studio. Nakiyah Hayling: resides in New York City and serves as a praise & worship leader, youth leader, and choir director at her local assembly. She authors blog entitled "Kya's thoughts", which addresses life lessons and tools for personal enrichment as a modern day Christian. Do we have a responsibility to act? Gerard Hall: The purpose of the Gospel in general is to spread the Love of Christ. As a nation that needs support more now than ever, the Gospel Community should be moved to assist. Martin Williams: I agree with Gerard. Of course we have a responsibility to act! Love is an action word. We can say that we loved and care for one another, but unless there is an action that follows behind it then the word is null and void. The Gospel is the Good News! And in this situation the people of Haiti need hope and encouragement. If we put ourselves in their shoes, we all would be wondering if there was a reason to go on. For everyone that is alive and breathing over there, they need to know that, in the words of Maurette Brown Clark, "It Ain't Over". Traci L. Buckner: Yes, whenever we see someone who is in need, the Spirit of God within us should prompt us to do something. Denominations and religious doctrine have no place in making these types of decisions. Nakiyah Hayling: I am absolutely in agreement with the group. As Christians, as human beings with the same psychological and physiological needs, we have a duty to show concern, and act fittingly. 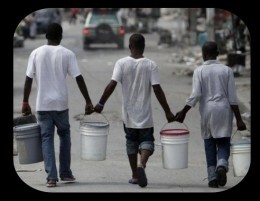 We may not be able to empathize completely, but we certainly can identify with the people of Haiti on some level. The word of God clearly commands us to take care of the widowed, orphaned, and the poor. It's a part of our mission. Should action be taken collectively? Individually? Gerard Hall: I think either way is helpful, however one should not wait to gather a group or find a mass of people before they begin supporting. As a human being, you should want to give regardless. Martin Williams: I love team efforts! In the past we have noticed that when everyone comes together, more is accomplished. Every artist has a fan base, some bigger than others. With everyone working together, more people will be reached. I'm not saying that individual efforts should not go on, but I believe we have a responsibility as the Gospel community to come together as well as individually do all that we can. Traci L. Buckner: Although a collective response would be ideal, it may not be feasible due to the time it takes to develop and implement a process or plan. I believe the first response should be at the individual level. Nakiyah Hayling: I believe that the efforts to aide Haiti have to be first individual and then collective. One first has to make a personal decision to make a contribution and then bring their resources together with other folks. Some ways to provide relief is to support Christian missionaries and organizations that were operating in the country prior to the earthquakes. How has our music community done in the past with world and humanitarian issues? Gerard Hall: The music community is big on putting together tribute songs during times of travail. Prayer rallies are also big within the music community during world issues such as these. 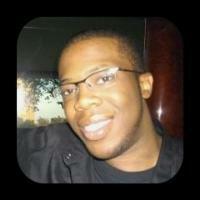 Martin Williams: Gospel music is life changing. The influence and power of our music has stood the test of time. We've seen it go all the way back to even the Civil Rights Movement. When the people marched and protest that sang songs such as, "We Shall Overcome", these were songs of faith, hope, and encouragement, that if we keep on pressing through, God is going to deliver us. Nobody does it better than the Gospel community. We never fail to come out and show the world the saving Power of Jesus Christ. I believe that when world events happen, people automatically turn to Gospel music because they can depend on us to give them what they need. Traci L. Buckner: In the past, I've heard about special recordings, which is a nice gesture. However, a song isn't going to provide water to those who are thirsty now. It's a matter of timing. We need to get to the point of being able to be one of the first to respond whether we are a recording artist or not. Nakiyah Hayling: I immediately think of Gospel artists such as Israel & New Breed that frequently fellowship with Africa. However, it might be time for the Gospel Music community to expand our reach and focus on more impoverished countries. We generally see our pastoral ministries reach out through humanitarian efforts. I strongly believe that the Gospel Music community could not only provide financial aid, but could also use their resources to strengthen the morale of those countries through the healing power of Gospel music. Have we done enough? Do we do enough to "represent"? Gerard Hall: I honestly think more can be done from a financial standpoint to "represent" the Gospel community. While prayer is always an asset during hard times, it is important to realize that the world is looking for the Gospel community to offer financial support (especially for ones who have issues with the church always asking for an offering). Martin Williams: I have to agree with Gerard again on this one; I believe that there is more that we can do, especially from the financial stand point. Haiti needs money. Yes, we can support by sending our prayers but they also need our financial support. We represent the kingdom of God, and nobody should out do us! Traci L. Buckner: We need to get to a place where it is an expectation and not a surprise to hear that the Gospel community has embraced an opportunity to help others in need. We have heard about secular artists who have reached out in the news at the national level. Although I know there are those in our community who have responded, I have yet to hear or read about it. The world needs to know that the Gospel community cares just as much as the other artists. Nakiyah Hayling: I agree with Traci, we should definitely be the forerunners of humanitarian efforts. Humanitarianism is at the very fiber of our foundation in Christianity. We have done well, but we should absolutely become more visible. I can easily name pastoral ministries and secular artists that are known for their humanitarianism. It is a more difficult endeavor when thinking about the Gospel Music community. 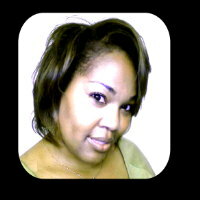 All content in GOSPELflava.com © copyright 2010. No information to be reprinted or re-broadcast from this site without the expressed written consent of GOSPELflava.com. All rights reserved.